Companies eager to build their own mobile apps have to figure out app development frameworks taking into account device integrations and access methods when choosing the type of Mobile App to develop and deliver. 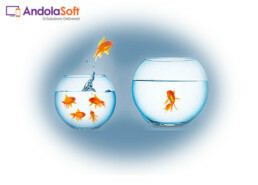 One has to be very thorough when deciding on what kind of apps organizations plan to deliver: native, web or hybrid in a specific mobile device that can leverage the rich feature advantages. Building a native application always results in the best user experience. Mobile OS makers want to make sure that the apps developers write in the native languages can take advantage of all the latest OS features and perform at their best. 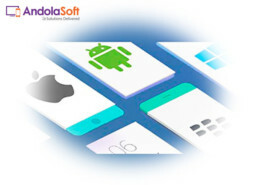 Companies that have no prior experience with mobile development may be hesitant to have their developers learn separate languages to write apps for both Apple iOS and Google Android, however, because of the extra effort required to support multiple OSes. Furthermore, Web apps are just less convenient than native apps. Users have to remember how to navigate them but still require different management processes than other apps. For all these reasons, mobile browser-based Web apps have limited use cases in the enterprise. Hybrid apps are Web apps that run inside of a native app shell. Conceptually, this approach brings the best of both worlds. Developers can write the core logic of the app in a Web-based language that’s portable across multiple mobile platforms, and the shell can use native code to interact with the device’s unique features. As a result, IT can manage and deploy a hybrid app just like any other native app. The hybrid app concept is popular but can have drawbacks as well. Using one code base for multiple OSes means that developers have to make some compromises. For example, iOS doesn’t have full near-field communications support, and Android and iOS apps have different navigation conventions. In some cases, with all the extra effort needed to make the “write once, deploy anywhere” concept actually work on multiple platforms, it can be easier to just invest in native app development after all. To some developers, hybrid and web apps are good enough for enterprise apps. But, user experience is more important these days, and apps should take advantage of the native features a mobile OS offers. But different apps and situations call for different development approaches and considerations. Selecting the right mobile platform is key for enterprises looking to deliver rich mobile experiences to employees and customers. Native may be the way to go for organizations with plans for high performing apps that require low-latency access to hardware. Hybrid is the way to go for enterprises that wish to deliver an app across many devices but also take advantage of features that a purely web app cannot give them. Things are bound to go more mobile in the near future and with the rise of the Internet of Things, we will have to re-imagine life and technology, as we know it. In that sense, cross-platform mobile development is a reality that developers need to accept and the choice of the right mobile application framework can help you.